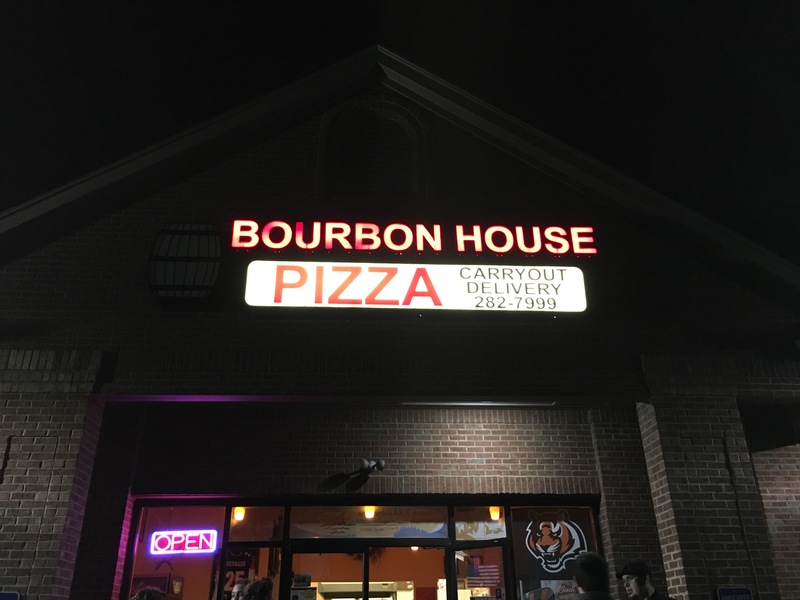 Bourbon House Pizza – Go There. Try That. About a year ago my husband tried Bourbon House Pizza with a couple friends. I wasn’t along, but I’m not the huge fan of deep dish that he is, so I wasn’t all that disappointed. Most of the time, my sweet husband endures the thin crust pizza that I prefer so I was happy he was going. Turns out, he loved the Chicago-style pizza served by Bourbon House Pizza in Florence. So of course I had to try it as well. 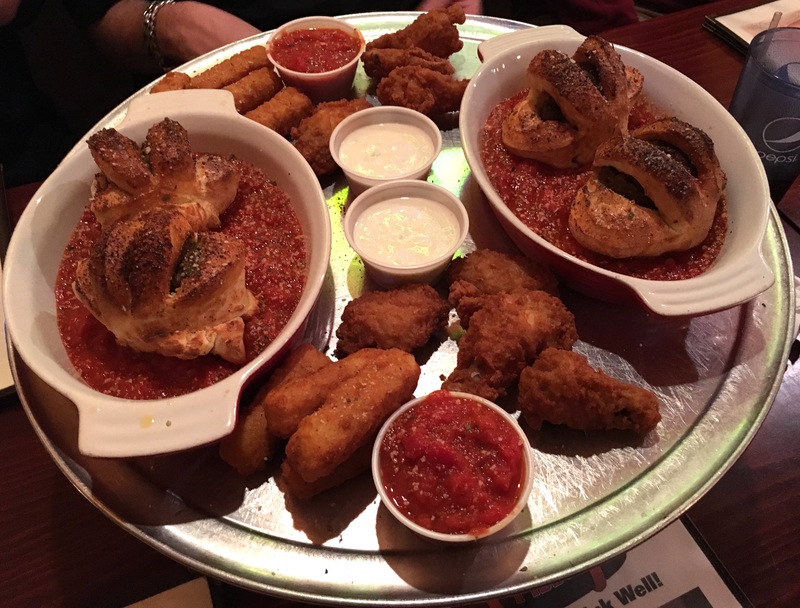 As far as appetizers, the meatball parm with garlic bread is delicious! Think meatballs baked inside crust with awesome marina! It’s like little meatball pizzas before the pizza! 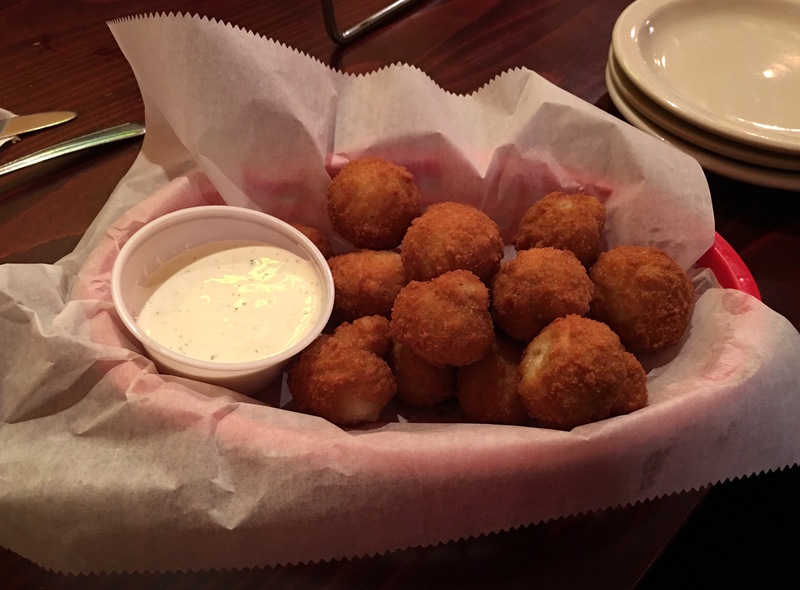 I also really enjoy basic breaded mushrooms– always used to order these with my Dad! They have them here at Bourbon House Pizza so I have to get them! Pretty tasty! If you order apps, just be prepared to take pizza home. This stuff is seriously filling! Two slices and you’re full! But who doesn’t like good leftovers?! Big platter to share? Heck, yes! 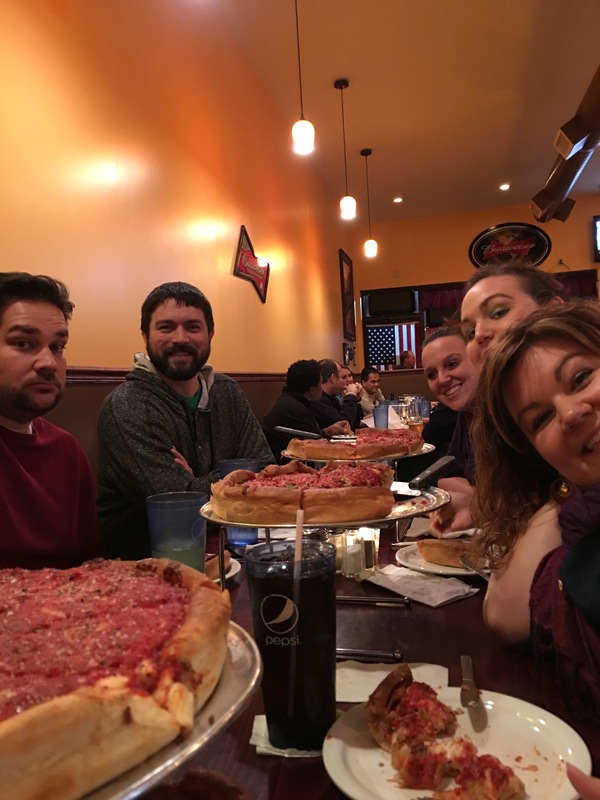 Bourbon House, by far, is now our favorite place for deep dish pizza! Crust, toppings, sauce, we like it all! The sauce is chunky, there’s copious amounts of cheese, and it’s the perfect sausage for deep dish. It’s constructed well and the cook is always consistent! This has now become a place we enjoying going with friends once in awhile! 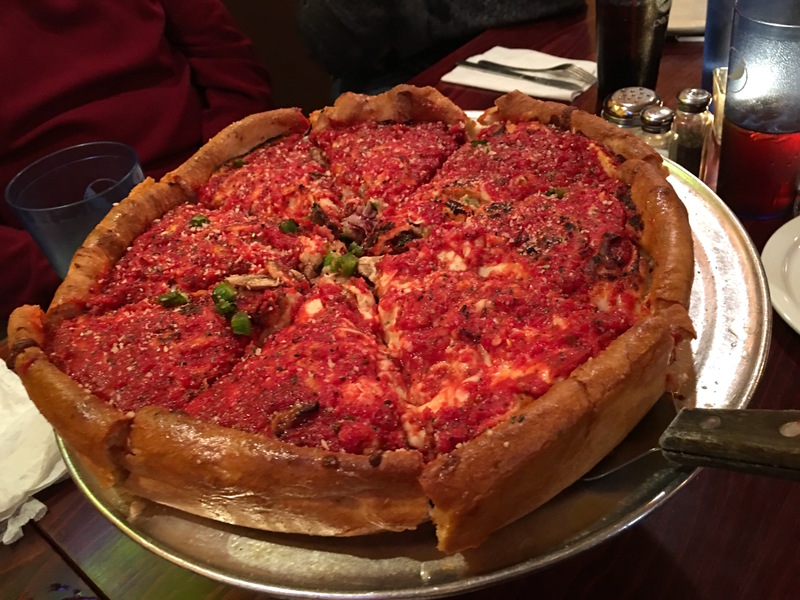 And, what I didn’t really understand before, is that Chicago-style deep dish does not mean super thick crust. It’s actually medium crust that covers the pan and goes up the edges thus creating more of a pie. Because this style takes longer to bake, it’s reverse construction- crust, then cheese, meat, veggies, and sauce on top. So filling! So good! I’ll be honest, I have to eat this bad boy with a knife and fork! The strangest part of this dining experience is the location. 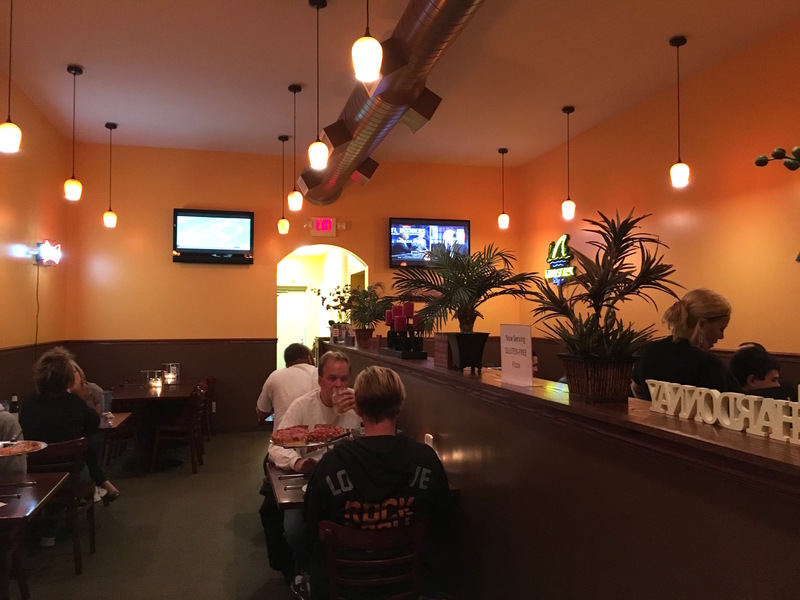 Bourbon House Pizza is located in a strip mall of sorts in a residential type neighborhood outside Florence. Not what I expected. However, it’s worth the drive. Just be sure to have the GPS or maps app running. Inside is nice- it’s not huge or anything, but it’s comfy and the staff is as always friendly! Tip- When you go to the website and download the menu, you can usually find coupons! Hours are Monday – Thursday until 9pm, Friday and Saturday until 10pm, and Sunday until 9pm! 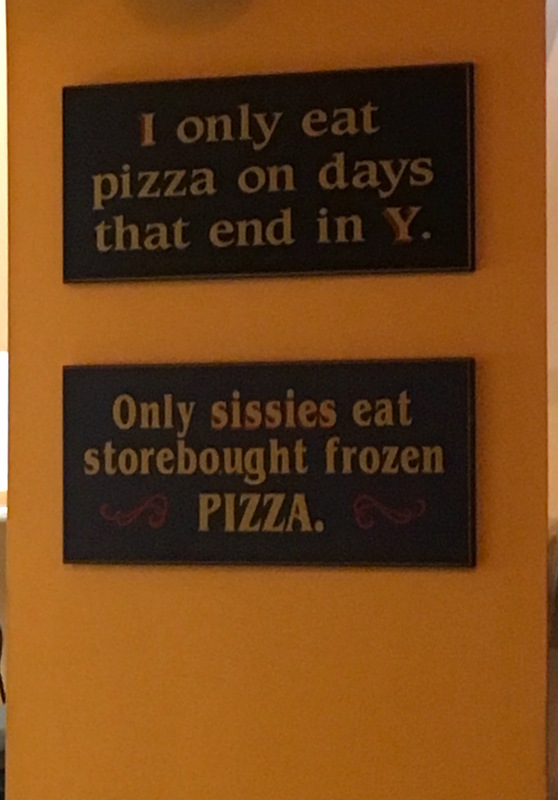 The hours aren’t super late for a pizza joint! Keep that in mind so you don’t miss out! 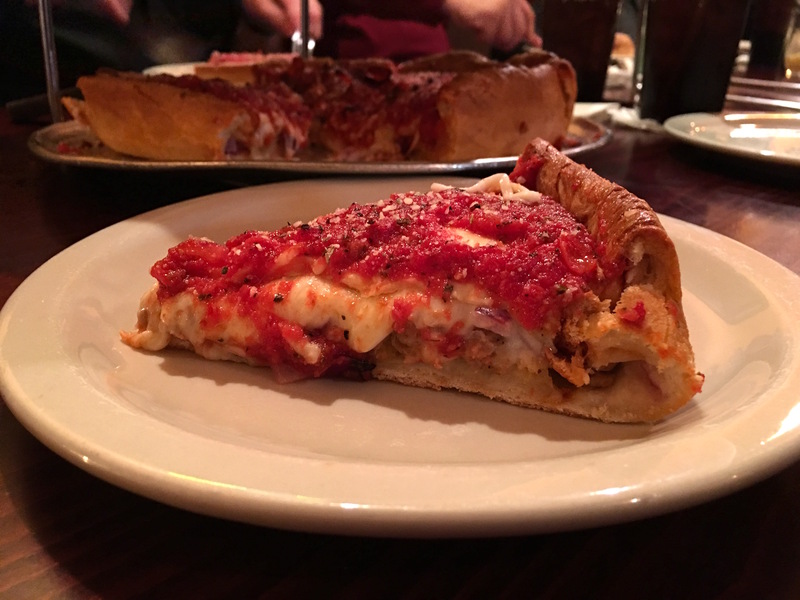 If you like deep dish, I’d love to hear your thoughts after you try Bourbon House! GO THERE (Bourbon House Pizza)! TRY THAT (Meatball Parm with garlic bread for the app, deep dish)! We love the food and the waiters. The owner, however, has been rude to us on more than one occasion. We have 2 toddlers, so the additional noise in a small space was probably too much. We spent over $50 each time we went, but haven’t been in a while because of the lack of hospitality from the owner. (Owner pictured 2nd from left). Bourbon House is by far, the best pizza in this area. The crust is always perfection and they are always generous with the toppings. Special requests are handled without issue. 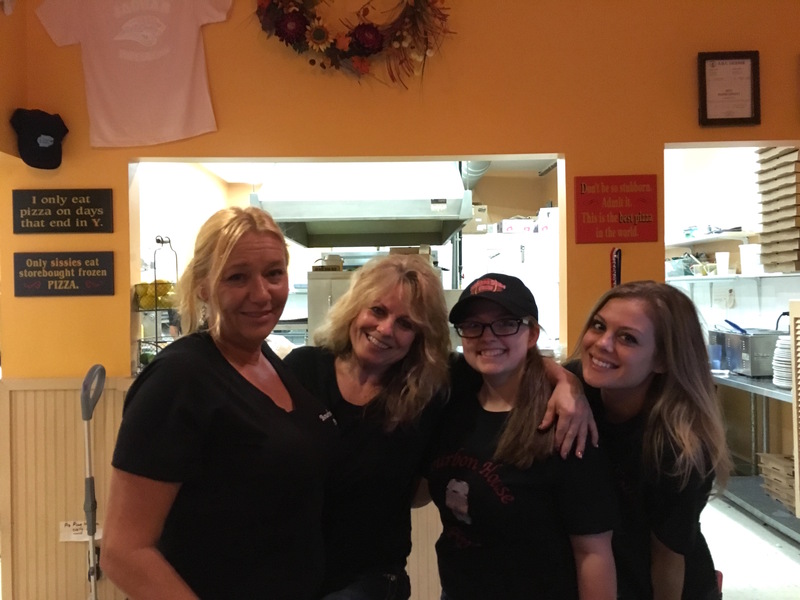 The staff and owners are always friendly and courteous. They want you to have a great experience whether dining in or carry out.